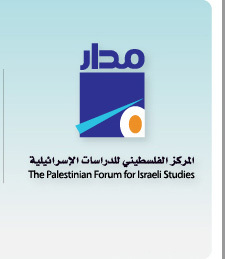 Ramallah: The Palestinian Forum for Israeli Studies (MADAR) has recently published Basic Law: Israel as the Nation-State of the Jewish People: Reality and Dimensions. This 104-page book presents a collection of articles that cast light on the legal and political dimensions of the Basic Law: Israel as the Nation-State of the Jewish People (Nation-State Law). It explores various impacts of the law on Palestinians in the 1948 territory, the question of Palestine, and prospects for ending the occupation. The book also investigates the background of the Nation-State Law, its relation to the changes underway in Israel, and the domestic debate that attended its enactment. he law from the perspective of international law. Political scientist Muhannad Mustafa analyzes the ideological background of the law, its relation to the settler colonial enterprise, and shifts in this enterprise, particularly after the 1967 occupation. As Mustafa puts it, the Nation-State Law marks a victory for the colonial project over the state project. Sawsan Zaher, deputy director general of Adalah – The Legal Center for Arab Minority Rights in Israel, provides a detailed analysis of all provisions of the Nation-State Law, demonstrating how it constitutes a crime of apartheid under international law. Political analyst Antoine Shulhut presents an overview of the internal Israeli debate over the Nation-State Law, discussions that accompanied the enactment of the law, and justifications cited and articulated by opponents of the law in relevant statements and publications. According to Ghanim, the articles unveil the underlying vision that guides the Nation-State Law, as evidenced in relevant provisions and in the statements made by those politicians, who initiated and supported the law. This vision is informed by a governing and guiding principle that is grounded in the dichotomy of presence and dismissal: the full and overwhelming presence of the Jew both effectively and symbolically and the full dismissal of the Palestinian both effectively and symbolically. While earlier laws have enshrined, albeit pro forma, universal values such as equality, justice, and liberty, the Nation-State Law address what is “ours” only. Ghanim maintains that the Nation-State Law reflects an advanced stage of what she calls “expulsion of the Palestinians from the community of obligation.” Starting with their expulsion from the place in the year of the Nakba (1948), these Palestinians have been prevented from returning to their homeland and then forcibly disappeared from the Israeli perspective. The Arabs who survived the Nakba were driven out of the community of obligation and subjected to military rule, which ended only in 1966. After the military rule regime was lifted, an attempt was made to include Palestinians within peripheries of obligation. At the same time, the expulsion of refugees from the boundaries of obligation was entrenched. Calls for the repatriation of refugees to their country, from which they had been displaced, were also delegitimized and reduced to a discourse of threat and risk to the community of obligation. Ghanim concludes that, by removing them from the community of obligation, the Palestinians are effectively vulnerable to practices of subjugation, persecution, and racism without deterrence or future protection. For them, everything is possible: demolition of Umm al-Araqib in the Naqab or Khan al-Ahmar in Area C for construction of exclusively Jewish villages and settlements is the model guiding principle of the Jewish nation-state. The Arab is nothing but a problem to be dismissed and removed out of sight so that the community of obligation celebrates victory and the right to build an exclusive democracy on the ruins of the indigenous population.